Curious about our commercial roofing repairs and installations? We’ve cataloged a variety of some of the frequently asked questions we encounter. Find all of the answers that you need below — and if you still have questions, don’t hesitate to reach out to us for further information. This is an obvious sign that your roof isn’t doing what it should. While you may notice a leak in your building, it can be difficult to determine the source of the leak. We can take a look at your roof to determine where it is failing, and then we’ll offer you a solution to repair the problem or replace the roof. While some pooling water may be inevitable on no-slope and low-slope commercial roofs, you really shouldn’t have much more than a puddle atop your building at any given time. If you notice that your roof is harboring water, then you may have a drainage block, or the slopes of your roof may require adjusting to ensure that the roof sheds all of the precipitation that it receives. If you observe tears and holes on the surface of your roof, then you could experience leaks the next time a storm rolls through. Keep an eye out for seams that are ripped (commercial roofing materials are often installed in strips with seams between each strip, which may fail). Also, be weary that debris and hail can puncture your roof. Your roof may even be damaged if you’ve had work performed on any of the components on top of your building (e.g. utilities, AC units, antennae, vents, etc.). Tears and holes can usually be patched and repaired — although, if you have an older roof on your building, it may be more cost-effective to simply update the whole roof if you notice these problems. Flashing is a crucial component of your roof, and it’s utilized on corners, edges, and around protrusions that extend out of your building (e.g. chimneys). Flashing ensures that these otherwise problematic, exposed areas are waterproof, thus completely protecting your building. That said, flashing is also vulnerable to become damaged over time, so be wary of these connective points that are often prone to fail. If you’re concerned that your commercial roof is failing or about to fail, then you need to take a serious look at your roof. We can inspect your roof to assess its current protective qualities, how long you can expect your roof to last, and where problem areas are (if there are any). It depends. You’ll have to ask yourself a few questions: Is my roof old and outdated? Are their multiple problems with the current roofing system? Are the repairs going to cost about as much as replacing the roof entirely? If you’re leaning towards answering “Yes” to those questions, then it’s likely time to replace your roof entirely. Often, the best solution comes down to cost. Again, ask yourself: Will you get more value out of installing a new roof? 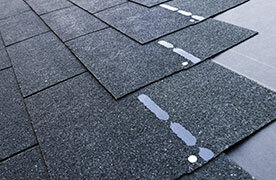 Or is it best to patch up your old roof for the time being? If you know that you have a new roof update coming up on the horizon, then you might as well get it out of the way, instead of investing in temporary repairs. On the other hand, if you’ve recently upgraded your roof, and you’re simply having a few, easily fixed problems, then repairs are in order — you’ll get more value out of your current roofing system that way. Still uncertain about the best option for your roof? We can help. We’ll assess the damage on your roof, and we can offer you a quote for both repairs and a complete roof upgrade, so that you can weigh the costs and make the best choice for your budget and situation. Costs vary depending on the type of material that you’re installing, the size of your roof, and a few other considerations. Here at Red Dog’s Roofing, we work with a variety of roofing solutions, including rubber (EPDM) roofing, TPO roofing, PVC roofing, modified bitumen roofing (including torch down roofs), and roof coatings — each of which has its own benefits and costs. 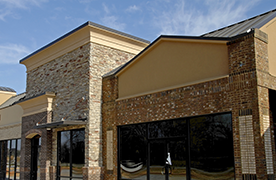 You can learn more about these roofing choices on our commercial roofing page. Contact us to schedule an appointment to get a quote for your upcoming roofing installation. Whats the best material for my roof? 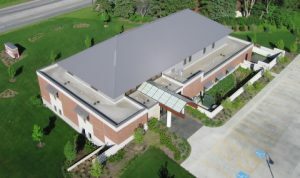 As we mentioned, we work with a variety of commercial roofing materials (rubber (EPDM) roofing, TPO roofing, PVC roofing, modified bitumen roofing (including torch down roofs), and roof coatings). If you’re curious about the pros and cons of each roofing material, feel free to visit our commercial roofing page where we have detailed information about the costs and benefits of each of the aforementioned roofing materials, as well as information about the longevity of those materials. You can also reach out to us if you’d like consultation about your upcoming roofing project — we’d be happy to help you determine the best roofing solution for your building and budget. Should I perform roofing repairs myself? While some minor repairs may be appropriate, we generally suggest that folks don’t attempt a repair unless they know what their doing. First of all, it can be dangerous to get up on your roof. Beyond that, repairs performed by those who aren’t licensed may void the warranty of a roof, which can be costly in the future. In addition, you can’t be certain that your repair will fix the problem, and it may actually cause further damage to your roof. It’s best to hire a professional, licensed roofing outfit to ensure that repairs are performed properly, and any warranties on your roof aren’t voided. It can be especially difficult to locate the source of a leak on low- and no-slope commercial roofs. You may notice that the interior ceiling of your building has water stains, or you have water pouring down walls of your building. Unfortunately, due to the structure of your roof and the design of low- and no-slope roofs, the leak may have originated far away from where it is showing up, so you’ll have to perform an inspection to find the true source of a leak. Leaks can sometimes occur on one end of a roof, then they may trickle underneath your waterproof barrier, or traverse along support trusses under your roof, and then the leak may show up on the complete opposite end from its origin. Give us a call to schedule an inspection to discover the true source of leaks on your roof. Again, costs can vary. Your repairs may cost more or less depending on the roofing type that you have, the amount of damage being repaired, and the types of repairs required. For a roofing repair quote, simply reach out to us to schedule an appointment — we’ll let you know what to expect. Roofing installations will vary depending on the material being installed, and the size of the building. For smaller projects, a roofing installation can take less than a week. For larger buildings, an install could take a couple of weeks. You can call us if you’d like a better estimate for the timeline. The longevity of your low- or no-slope roof will depend on the material of your roof, weather conditions as your roof ages, and how well you care for your roof over the years. 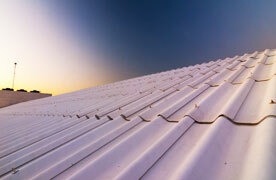 That said, most commercial roofs last from 10 to 20 years, with higher quality materials lasting up to 30 years. If you’re updating your commercial roof, you can prepare for the upcoming project by informing any employees in the building, by protecting property around your building, and by informing your security staff of the work (if applicable). Let your employees know that we’re working on the roof. While installs are relatively noninvasive, it could be noisy and distracting at times. 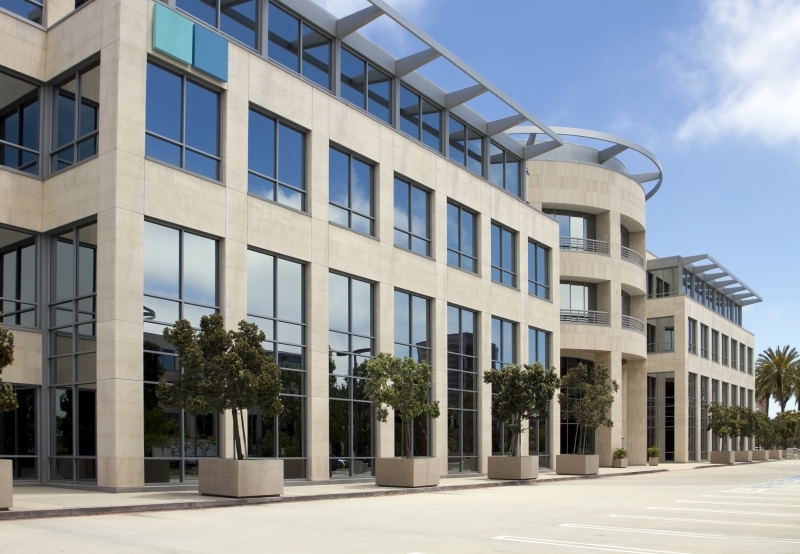 Prepare the exterior of your building by ensuring that any valuable property is moved or protected. If your building is near a parking lot or street, you may have to cordon off parking spots, or reroute traffic. You may also need to close down sidewalks, or ensure that employees only use specific entrances and exits for the time being. Also, be sure to inform any security staff on the property that work is being performed on your roofing structure. Make sure that they are aware of roofers going to and coming from the property throughout the day. Here at Red Dog’s, we have years of experience working with business and building owners throughout Fitchburg, Leominster, and Gardner. We work with a variety of roofing materials, providing both repairs and installations for rubber (EPDM) roofing, TPO roofing, PVC roofing, modified bitumen roofing (including torch down roofs), and roof coatings. Find out what sets us apart from other roofing contractors out there. Schedule an appointment to get started!